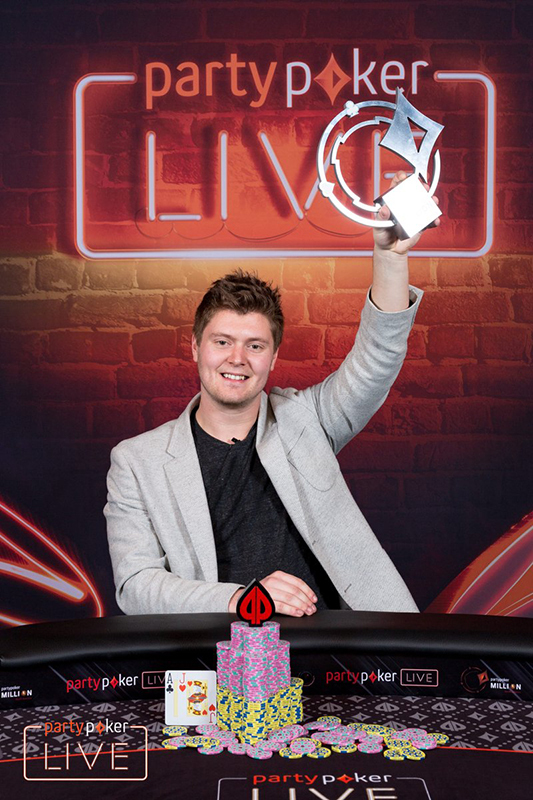 Local hero Jean-Pascal Savard has won the partypoker Million North America Main Event for CAD$1m – after qualifying for just CAD$500! Savard, a well respected local Quebec pro, entered the Million via a C$ 500 Phase 1 online. This was his first career major title, and took place in his hometown with dozens of friends supporting him on the rail. Throughout the final table you could hear his rail chanting "Jean, Jean, Jean!" with every pot he won. Savard would go on to celebrate with his friends off of the final table stage with hugs and high-fives all around. His biggest cash before taking part in the partypoker Million was at the 2015 PCA High Roller in Bahamas where he finished fourth for $508,080. His total live earnings have now increased to $1,566,896. WPT Caribbean champion Niall Farrell finished sixth for $160,000 while American poker pro Ari Engel, who was chip leader at the start of the final, finished fifth place for CAD$238,500. It’s been an exciting week at the Playground Poker Club in Montreal– the premiere destination for poker in Canada delivered what was a record-setting festival. The Main Event set a record in Canadian live poker with CA$5,709,750 prize pool, beating the CAD$5m guarantee put up by partypoker.